Step 1: Get started with a web consultation - Call or complete the short form on the sign up page and a web expert will contact you to discuss your business and website needs. We'll talk to you about your business and offer suggestions about how you can grow your business on the web. If you're ready to get started, we'll also conduct a brief, one-on-one interview to help with the creation of your new website. Step 2: We design your new website – Our expert web designers receive the information you provided during your web consultation and build an initial draft of your website. Step 3: Your website is published for your review - Our web designer will contact you to let you know your website has been built. It is important for you to review the website and contact our Modifications team to request any changes you have for your website. Our modifications team is available Monday through Friday 9 a.m. to 7 p.m. EST or changes can be submitted through our online submission form. Step 4: We promote your new website - During the first 30 days of your service, our marketing experts will be submitting your website to Internet Directory Pages and search engines such as Google™, BING®, Yahoo®, AOL®, and ASK®. Our experts take care of everything for you! Step 5: We provide ®maintenance support for the life of your website - We have a team of customer support representatives that want to hear from you. We pride ourselves on the level of professional support we provide from free ongoing website changes to answering questions about your online marketing programs. How do I get in touch with customer support if I need help or want to make changes after my website is published? 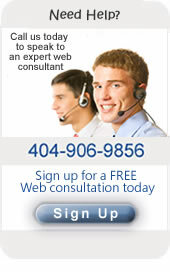 You can call our customer support team at 404-906-9856 Monday through Friday 9 a.m. to 7 p.m. EST. Whether you want to make changes to your website changes, have questions about promotional activities or what to walk through the details on your Internet Scorecard, a live web expert is just a phone call away!